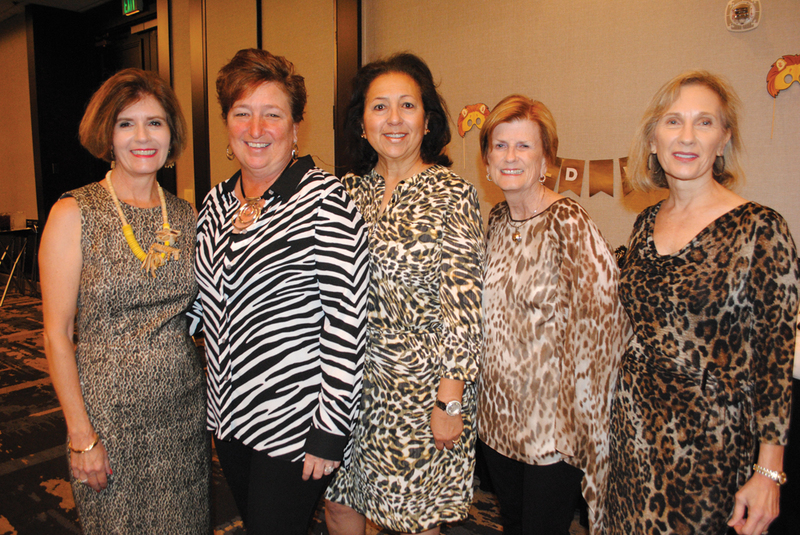 Ball of the Wild officials came dressed for the part – all in animal prints. 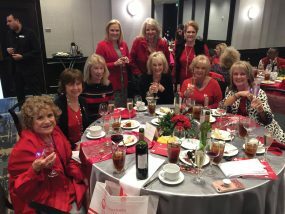 They are, from left, Fundraising Chairman Yvonne Perrin, Silent Auction Committee member Dee Wolfe, Silent Auction Co-Chairman Belinda Scheurich, Gala Chairman Jennie Hampton and Vice Chairman Pam Bungo. WALKING INTO the Assistance League Ball of the Wild, one might have thought he had walked into a jungle. There were that many among the crowd of about 300 dressed in leopard and zebra prints and jungle wear – all just having a delightful time. Just as quickly as Chairman Jennie Hampton and Co-Chairman Pam Bungo joined President Dee Cover in welcoming everyone to the South Shore Harbour Resort’s Crystal Ballroom, Reservation Chairmen Gail Ashby, Kim Barker, Lisa Holbrook and Ann Hammond were signing them in and helping them find their tables. 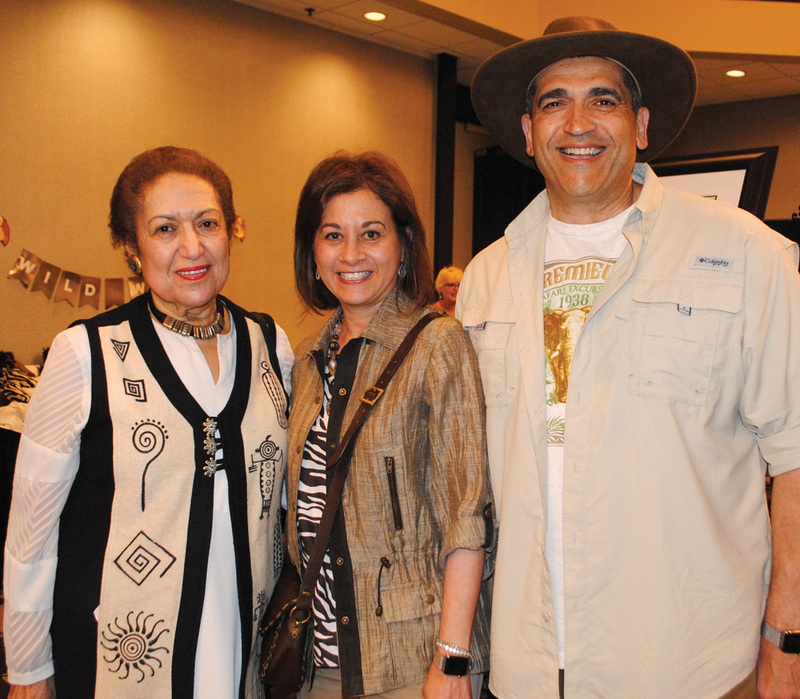 Long-time Assistance League member Atiya Abouleish, left, arrives at the Ball of the Wild with her son, Dr. Amr Abouleish, a UTMB-Galveston professor, and daughter-in-law, Dr. Lamia Abouleish. Early arrivals included Judy and Frank Law, Shep and Yvonne Perrin, Bill and Katy Bastedo, Rick and Jill Lammers, Richard and Traci Dvorak, David and Dee Wolfe, Dan and Joan Burt, Nelson and Dana Brown, Sue Ellen and Dr. John Jennings, Doug and Carol Latimer, Debbie and Dr. Peter Wuenschel, Madeline and John Nugent, Deed and Diane Vest and Peter and Pam Culpepper. They had hardly had a chance to browse through the silent auction items when in walked Melinda Garcia, Einar and Linda Goerland, John and Georgia Piwonka, Jerry and Jean Krebs, Doug and Johanna Mathera, John and Jill Smitherman, Gary and Sally Wigginton, John and Donna James, Jerry and Peggy Clause, Annette Dwyer and Pat Monks and Joe and Carol Base, stopping as they made their way across the ballroom to admire the beautiful table centerpieces donated by HEB. Emcee Rebecca Spera of ABC Ch. 13 and her husband, Eric Valentino, a 1991 Clear Lake High grad, stop for a photo during the Ball of the Wild. Pretty ABC Ch. 13 Traffic Anchor Rebecca Spera served as the evening’s emcee. She came with her husband, Eric Valentino, a 1991 Clear Lake High grad and a long-time area resident. Both seemed thrilled to sit at the same table with the league’s special guest, Clear Creek ISD Superintendent Greg Smith, along with Texas PTA President Lisa Holbrook, CCISD Trustee Ann Hammond and Gala Chairman Jennie Hampton. A highlight of the evening came with the presentation of the H.O.P.E. 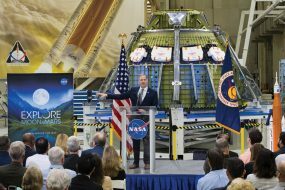 award to the Albemarle Foundation and the National Operation School Bell Award, which was awarded to United Way of Greater Houston – Bay Area Center. Which brought smiles to the faces of Stan and Cindy Senger Lewis, Sue and Harrol Smith, Barbara and Ron Weitenhagen, Janet and Bill Summers, Hillary and Paul Gramm, Peter and Debbie Wuenschel, Misty and Kyle Killebrew, Jordan and Steven Quillen, Eileen and Chris Ball, Susan and Mike McCoy, Drs. Ann and Nils Hasselmo, Drs. Amr and Elerian Lamia Abouleish and Meredith and Aaron Levine. Some of the others spotted just having a grand time were Vic and Melanie Lovuola, Bob and Kathy Panneton, Leslie and Garrett Maddox, Stephen and Gail Ashby, Sonny and Jennifer Maxwell, Gordon and Sharon Christman, Betty and Bruce Walcott, Raleigh and Rita Johnson, Peggy and Jim McBarron, Marion and Achim Noack and Lance and Barbara Miller.